Ferns fan out from below and irises burst out from above. A sprig of stock on the side makes for a complete lavender experience! 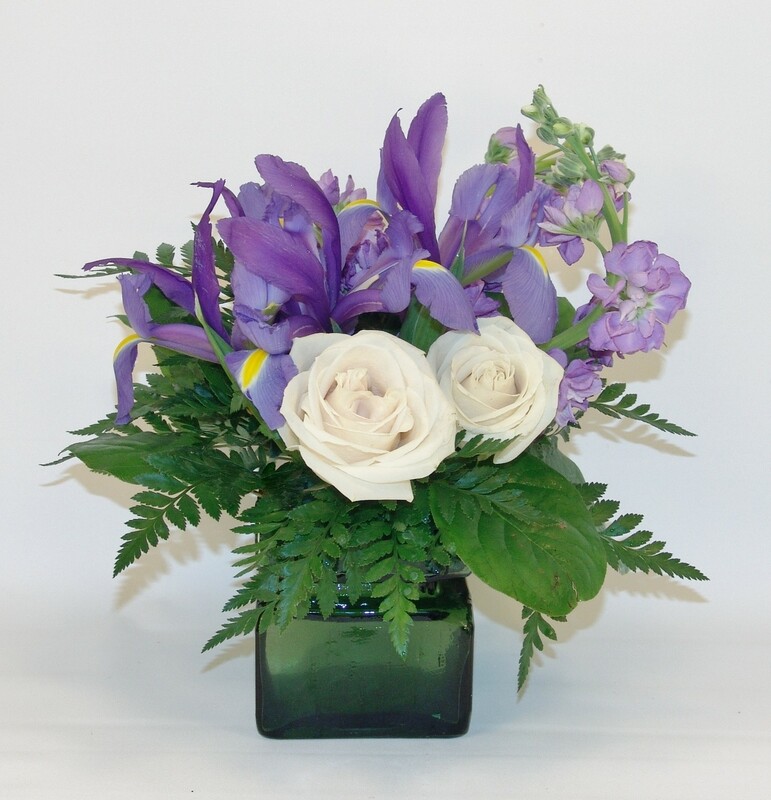 Deluxe Center piece includes 9 stems.